Give me something I can whip together fast that tastes great, and I’m a happy camper. Try my 4-Ingredient Avocado Dip. Fry up a couple of strips of bacon until crisp; set them aside. In the bacon grease, toss in 3 or 4 chopped scallions and a little salt. 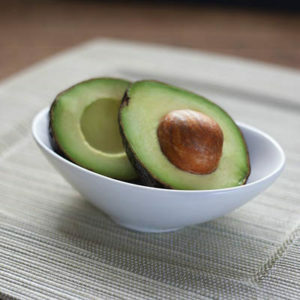 When they’re brown on the edges, put them in a bowl with a whole chopped avocado and 3/4 cup of plain yogurt. Mash and stir it up with a spoon, keeping it a little chunky. Chop the bacon and sprinkle it on top. This dip is great with tortilla chips or veggies. It’s even good on top of salmon. How about using it on toast with a poached egg!!! Oh my!!! !